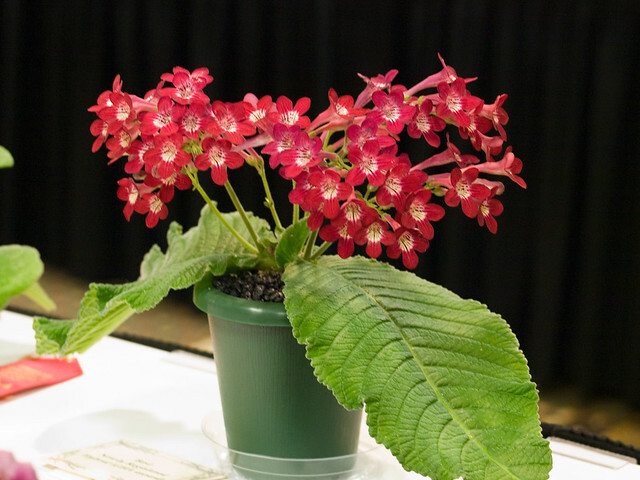 The upcoming show and sale of the National Capital Area Chapter of The Gesneriad Society includes several lectures about various gesneriad-growing topics. Dale Martens is a distinguished gesneriad grower and hybridizer who is especially well-known for her work in hybridizing Streptocarpus. In fact, it is likely that some of the plants you admire in shows are her hybrids! For example, Streptocarpus 'Dale's Scarlet Maccaw,' exhibited at The Gesneriad Society Convention in 2009. We are especially pleased that Dale - who is based in Illinois - will be joining us this weekend. On Saturday, September 17, at 3:30 pm at The Behnke Nurseries in Beltsville, during our gesneriad show and sale, Dale will present her talk "I Never Met A Streptocarpus I Didn't Like." Dale has been growing gesneriads since the mid-1980s and has received the Award of Appreciation from The Gesneriad Society, as well as the Bronze Medal from the African Violet Society of America. She is Chair of the Gesneriad Hybridizers’ Association and co-editor of their newsletter, CrossWords. Dale is also a Master Gesneriad Society Judge and on the editorial staff of The Gesneriad Society journal, Gesneriads. The show and sale are open to all--society members, chapter members, and the public. Check out the speakers schedule, peruse the sales table, or even enter your own plants into the show!